I remember when I started to play drums (more than 15 years ago) some guy had a device in a studio that I never saw before. It looked like some pressure measuring device for car tires. You know, like some big watch. He put that thing on drum head of the first tom and when he hit it, the scale of the device pointed to some number. I had no idea what it was and when I asked him, he told me that it is a Drum Tuner. To be honest, by then I thought that such a thing doesn’t exist. I thought that the drums are tuned based on whether they sound good or not.. The best drum tuner must, above all, to be precise, functional, well designed, and to, of course, serve us as long as possible. Before you start using drum tuner, you must know what kind of sound you want to achieve from your drums and what kind of drum heads you want to use. There are several types of drum heads. First of all, you have to decide whether to use the Single ply heads or Double ply heads. When you select some of these two then you must decide between Coated and Clear option. Not at all. The thing is just taste and needs. You need to try out all kinds of drum heads to know which is perfect for you. Finally, when you choose which drum heads you will use, we can throw you in a fine-tuning. First of all, you will need a drum key. The of all that you need to do is to ensure the drum head is centered. Check that the drum's bearing edges run true and that all hoops are well aligned. Much of the seating process is actually taken care of as the heads are tightened. Next, put your finger the center of the drum head and apply gentle pressure. It's important to ensure that the tuning around the drum is even so you have to re-check that the lugs and are still tight. 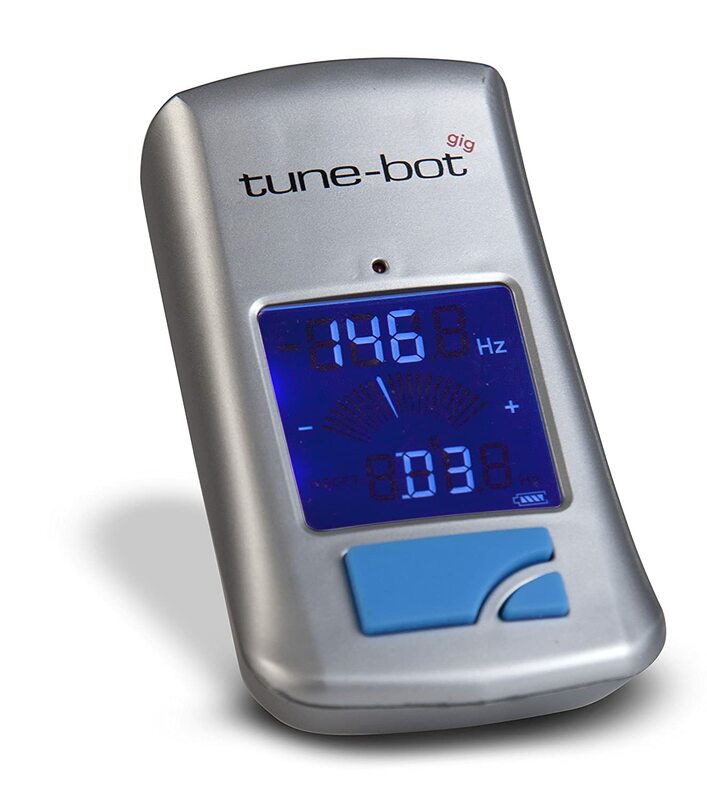 Now we have a drum tuner on the scene and after a long time, various models of drum tuners have been made. We are aware how much drum tuner is important to every drummer and we decided to do some web research and find and present some of the best products today. This is the device I talked about at the beginning. 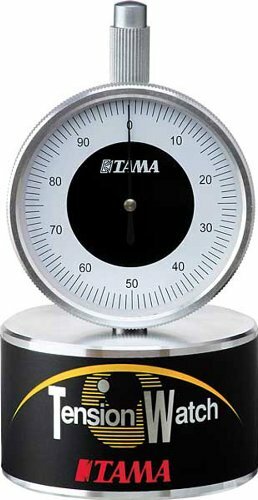 Maybe it's not the same, it looks like it...If you want an analog rather than a digital drum tuner, The TAMA Tension Watch could be your weapon of choice. Manufacturer claims that it measures the tension of the actual drum head, rather than the tuning rod, giving you an extremely precise scale pointing and easy to read the meter. The heavy-duty base and durable case make it a great tool for professional drummers to take along to gigs and recording sessions for quick tune-ups and tone checks. Definitely the cheapest analog drum tuner. Surely it will do the job. Drums will be tuned, right? 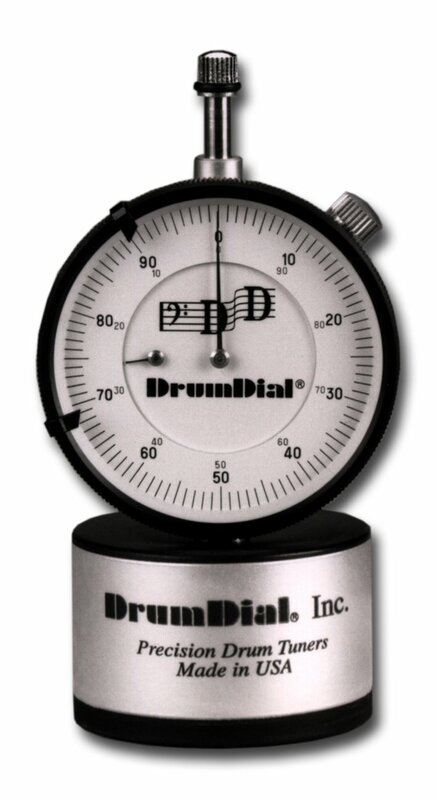 It can easily tune drums by measuring pressure on the drum head. The manufacturer claims that it is fast and precise. You can eliminate problems of difference in screw tolerances, plating, corrosion, by using a DrumDial tuner to measure drum head tension directly from the drum head. That kind of tuning allows you to precisely tune your drums faster and easier than ever before. It works in the same way as Tama Tension Watch, just for less money. Can tune without making noise. Spring may lose elasticity over time. Not the most accurate compared to others. In order not to be fans of analog devices, we will present a couple of digital drum tuners. I can’t even believe my own eyes when I see the price for this drum tuner. I have to admit that the Pearl Company has disappointed me a bit because its name appears on this device. I searched the entire web and I did not find out what this spectacular thing can do. Tune drums? Wow, okay. You can buy a decent used drum set for this price, great drum rack or a couple of drum tuners. Really, I'm shocked. They say that after several years of research and development, they have finally made a fast, accurate and effective drum tuner. As if there had not been any one before. I found an interesting review where one guy says that Overtone Labs is an evil company. Price (you just can't guess how much it is). 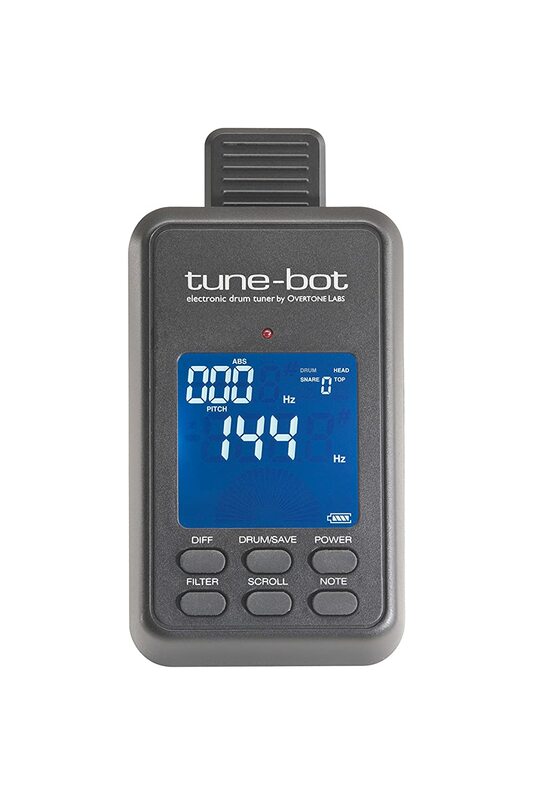 This is definitely a great digital tuner that is worthwhile, I can safely say that this is the best tuner for the money! Now that passions have calmed down, this is a product with a satisfactory price from the same company that I mentioned earlier. You can quickly tune your acoustic drums and toggle through each mode with a single button. It's equipped with large LCD screen that is optimized for use in the studio or on a dark stage. It has a clamp with which you can easily fasten it to the drum hoop. I must point out that this is also one of the cheaper alternatives on the market. Now that we've introduced you with all the benefits of the drum tuner and how much it can mean to achieve the good sound of your drum components, you can think about which one you are going to buy and use. You can choose between analog and digital, expensive or cheap, nice or ugly. Of course, it is most important that your drums sound as best they can. That's actually the point. And not only that, a good drum tuner can prolong the lifetime of Drum Heads and hoops too, therefore, save your money and nerves.